A few weeks ago I highlighted the possibility of a pull back into early September. On Friday that $215 level was broken with vigor. Yesterday pre-market the $SPY was changing hands at just over $211. The action clearly over shot the August lows. With any sell-off, especially the one we witnessed late last week, the panicked action can take prices far lower than expectations. 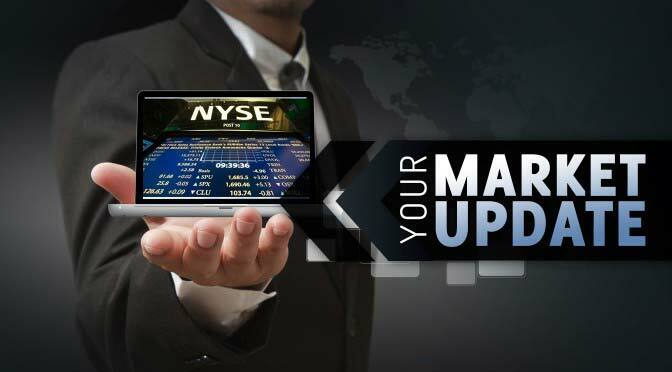 As such we saw yesterday's ominous pre-market action turn into a boisterous rally with indices recovering a lot of their recent losses. I also highlighted in my post a few weeks ago, that after some September weakness I thought the market would head up to paint another new record high and ultimately eclipse the $SPY $225 level. I think this scenario is the more likely one going forward. 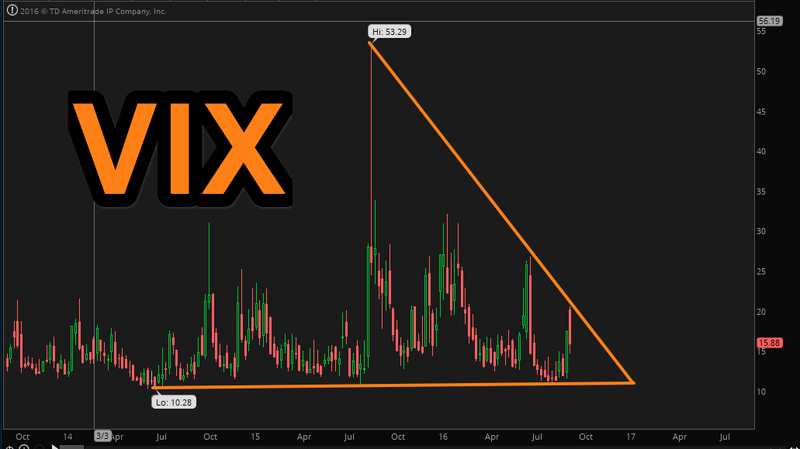 The VIX has put in another all too familiar spike. One that historically has been reversed in a swift and unforgiving fashion. Rate hike odds continue to plummet. Fridays 2% collapse of the stock market cut rate hike odds in half. This morning they have been cut nearly in half again to 15%. Cheap money has been the backbone of this historic bull market. The Central Banks continue to push money into risky assets in the hope of stoking some inflation. Inflation remains low and until it starts to perk up, the cheap money spigot remains wide open. Which means the dips will continue to get bought. I think today's dip will see a similar outcome. I'll be watching long term support/resistance again for a signal that this pull back is something to be more concerned about. Also the VXX/VIX for a guage of just how much market participants are shrugging their shoulders. Look at yesterdays action. Early on the $VXX was seeing a dramatic selling of calls and buying of put. $VXX dropped some 7% late in the session. Those selling $VXX Calls on the bid and buying $VXX calls on the ask yesterday morning were sitting on some 100% profits near the end of the session. Heck of a trade there. For this move off yesterdays lows to continue the support the market broke above yesterday needs to hold. If not that key 2,100 S&P500 futures level that acted as a massive trampoline for stocks yesterday will be put up for test again.